We know that modern production equipment is complex, especially when you must operate several types and brands. Quorex has a range of in-house specialists that are experts in their respective equipment, ranging from Mechanics and I&E Technicians through to Commissioning Engineers. The team are available at short notice and ready to support you on-site throughout the world. Our more senior specialists hail from Europe, but we also have very skilled personnel based in Russia, Kazakhstan and Nigeria to name a few. Quorex's skilled team of engineers provide multi-faceted support to our clients. We have Mechanical and Electrical Engineers in-house and partner with a number of process specialists too, so have the right people to cover your request. If you are after advice related to any of the product lines that we cover, please don't hesitate to reach out to us. Our team are experts in gas engines and compressors with a direct line to the OEMs. We often like to assist clients with gas engine performance, compressor valve optimisation, failure and vibration analysis as some examples. A client running an FPSO in West Africa has five (5) large reciprocating gas compressors that have been in operation since 2002. The marine environment has played havoc on the compressors, piping and foundation and Quorex was contracted to restore the units from the ground-up. 3 of 5 units are already completed and have been running smoothly since 2015, the remainder are to come. Quorex prides itself in thorough planning, precision and Root Cause Analysis of any failures that we discover. 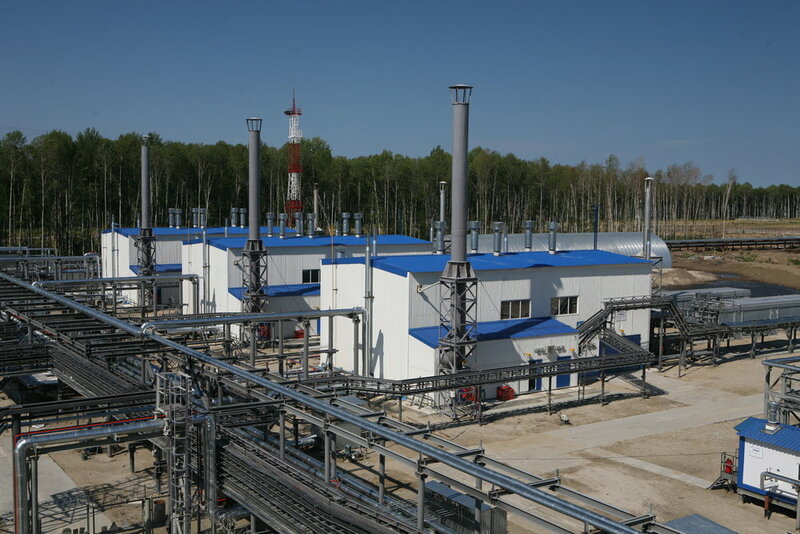 Quorex is responsible for the periodic maintenance of a fleet of ten (10) large reciprocating gas compressors operating in an LPG plant in Central Asia. Prior to Quorex’s first intervention, this customer faced regular and expensive compressor failures. By combining quality repair and maintenance field work with predictive maintenance solutions and a continual and constructive dialog with the customer, Quorex have helped to transform this fleet of compressors in to the most reliable machines in the LPG plant. Quorex is currently supervising, training and coaching maintenance staff for the major overhauls of two critical compressor sets in North Africa. Quorex prides itself on its ability to communicate constructively & effectively with operators. The objective is to transfer the specific & practical knowledge required for good field maintenance of reciprocating equipment. As operators work with Quorex’s maintenance teams, the customer’s crews become more autonomous in the operation and maintenance of their often critical compression fleet. Quorex is proud to have been retained to assist and advise MTU Maintenance Berlin-Brandenburg with their LM gas turbine maintenance activities in Africa. MTU M.B.B.is a leading maintenance provider for GE’s LM™ series of aero-derivative industrial gas turbines worldwide. The company is one of three GE licensed Level IV companies worldwide for the maintenance of GE LM2500™, LM2500+™, LM5000™ and LM6000™ and the only one located in Europe, outside of GE Nuovo Pignone. MTU Maintenance is the world’s largest independent provider (9000 employees) of commercial turbine engine maintenance, repair and overhaul services with annual sales of $ 4.7 billion. MTU is a trusted partner to all the industry leading manufacturers: GE, Pratt & Whitney and Rolls-Royce. LM industrial users benefit from MTU Maintenance’s pro-active technical support, worldwide service network, Berlin’s state of the art maintenance facilities. As a repairer, MTU’s expertise in sub-assembly repair (as opposed to replacing with new as a default procedure), all with full MTU warranty and following the OEM’s prescriptions, allows MTU to offer the most competitive pricing. Lastly competition keeps all maintenance suppliers, including the OEM, in line. Ample references are also available upon request.